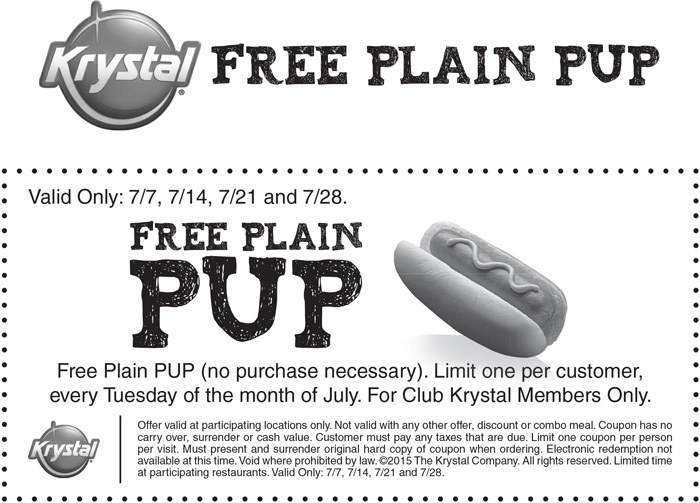 Grab a FREE Plain Pup at Krystal every Tuesday of the month of July. Valid for Club Krystal members only on 7/7, 7/14, 7/21, and 7/28. Limited to one per customer.